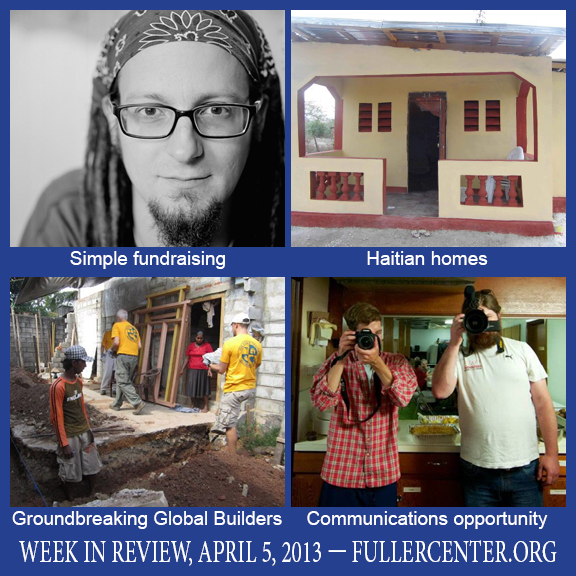 Last week, I wrote about our first Global Builders trips to Nicaragua. And this week, we’ve had our first Global Builders trip to Sri Lanka. It’s great to see this program grow not just in the number of trips but in the number of countries being served. Global Builders Coordinator Hailey Day and Director of International Field Operations Ryan Iafigliola have done a wonderful job of helping that program grow to new heights — thanks to the donors, volunteers and especially the volunteers who serve as trip leaders. We’ve got some repeat trip leaders who make a huge difference. I’m especially excited to see a new initiative to raise money for work in Africa to mark 40 years since Millard and Linda Fuller began building homes there, ultimately launching the world’s affordable housing movement. And I’m glad I’ll get to be a small part of that this summer when I go to Ghana to document the work of the Mercer University women’s basketball team there. We got another look at our international work with photos from Michael Bonderer’s Homes from the Heart work with us in Croix-des-Bouquets, Haiti. I’ve shared a lot of photos of the duplexes in the Lambi community, but this week were able to show how nice these inexpensive in-fill homes are thanks to Bonderer’s leadership there. Click here to see the home and click here to see photos from the latest team that helped make it a reality. Shane Claiborne, leader of The Simple Way and the Simple Homes Fuller Center in Philadelphia, is one of the people helping us get new fundraising and donor software up and running. It’s going to make it easier for individuals (such as those on the Bicycle Adventure) and for churches, covenant partners and other groups to raise money for special projects. Shane worked with us as we went back and forth to hash out behind-the-scenes coding and software details, and we came out with a decent fundraising page for Simple Homes’ first project. It was quite the successful experiment, hitting its fundraising goal within a week — although it doesn’t hurt that Shane has a tremendous amount of name recognition in religious circles. He had a donor give a $5,000 matching donation to help Simple Homes with their first Save a House/Make a Home project — and we were able to help Shane get the message out about the fundraising page, through which he got $5,000 more in donations to match the grant and ensure completion of the project. In a few weeks (or hopefully earlier), we’ll roll this out for everyone to help them raise even more funds to help families become owners of simple, decent homes. Thanks, Shane, for being patient as we hammered out the details — details that are now being fine-tuned for everyone. Our Bicycle Adventurers were the very first to begin using individual fundraising pages that also are being fine-tuned, and we appreciate their ongoing patience, as well. We’re looking forward to showing everyone the possibilities of these new fundraising tools very soon! Speaking of the Bicycle Adventure, they’re looking for a couple of support volunteers (a communications specialist and van driver) for the summer ride from Savannah to Vancouver, B.C. If you know a college student or recent college grad looking for some real-world communications experience for their resume with the opportunity to really pad a portfolio, this is it. Click here to learn more.